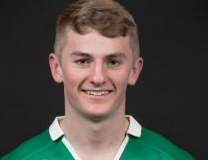 IT is encouraging for Limerick club players that Shannon out-half Conor Fitzgerald has been signed by Connacht on a professional contract. He is one of three Academy members who have recognised for their recent performances. Matthew Burke and Conor Kenny are the other two who have will join the Connacht senior squad for the 2019/20 season. These latest signings from the Academy follow Paul Boyle’s graduation to the senior squad earlier this season. Matthew Burke has made eight appearances for the senior team so far this season having made his debut away to Sale in the Challenge Cup back in October. The 22-year-old prop is a native of Ballinrobe and plays his club rugby with Corinthians. Having joined the Connacht Academy at the start of the season, Conor Fitzgerald is another player who has already made a significant contribution to the senior side. The out-half made four appearances in the European Challenge Cup and a further two in the PRO14. Prop Conor Kenny has come up through the underage structures in Buccaneers before going on to represent the senior side in the All Ireland League. He also represented Garbally College in Ballinasloe prior to joining the Connacht Academy three years ago. According to Connacht Head Coach Andy Friend, players who impress in the Academy structures will not go unnoticed: “I have been very impressed with the talent I have seen coming through the club and academy structures in the province. We have used Academy players throughout the season and my message to the next crop of players is that there will be opportunities for them to show what they can do.” That is an encouraging statement for club players in the western province. Conor Fitzerald and his brother Stephen both made immediate impressions with Shannon in recent seasons. Stephen had some time with Munster and played in a number of high profile games with the Reds before joining Connacht. Conor, who played with the Ireland under 20s, slotted in well at number ten with the Coonagh senior side, his left boot raking up a high rating from the kicking tee and his general play also impressive. Both brothers were certainly missed by Shannon who now find themselves facing a quick return to 1B of the AIL.